Portman Road Stadium Tour, Home of Ipswich Town FC. Team Events E.g. Go Karting, Indoor Rock Climbing, Bowling, Laser Combat and more. 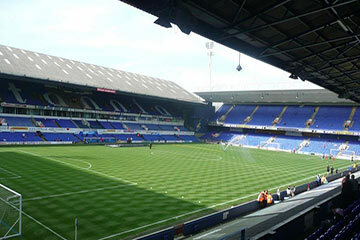 Ipswich Town FC and its Playford Road academy center is an extremely popular destination for DB Sports Tours. Training and working alongside their senior counterparts on a daily basis, Ipswich Town youth players are amongst the best in England. DB Sports Tours is very proud to have our client and Ireland underage international, Adam McDonnell, at the club. Adam made his debut for Ipswich Town against Doncaster Rovers on the 25th August 2015.